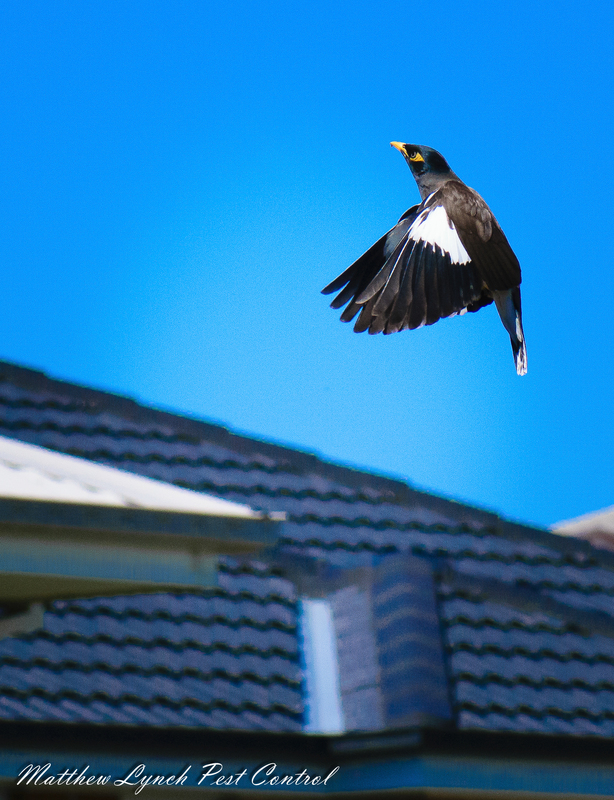 Birds can become a nuisance when nesting in the eaves of house roofs. They do this by gaining access to the eave through the edge of the tiles just above the gutter. Once inside the roof eave they have a sheltered environment safe from predators to begin building nests. This generally happens through the warmer months of spring and summer. Some species of birds nest several times throughout the season. Bringing large amounts of rubbish and debris into the roof cavity each time a nest is built. They damage buildings by defecating on eaves, gutters, window sills, pathways and driveways damaging the home and creating an unsightly mess. Once the nesting has finished and the birds have flown from the nest. This is when the real problems start to occur. Parasitic bird mites that were feeding on the birdsin the nest no longer have a food source. As a result the bird mites then start to infest the home in search of a new host to feed on. They spread through the home looking for a meal. This means biting and feeding off the blood of the home occupants, their children and pets. As you can imagine this is not very pleasant at all. Thousands of bird mites causing itching, irritation and in some cases severe allergies through their numerous bites. Because bird mites are almost microscopic in size, their presence often goes undetected for some time. If you have been experiencing bites and itching. Or even allergic reactions. There is a chance that you may have birds nesting in your roof. And even a bird mite infestation in your Penrith home. Matthew Lynch Pest Control and their team of expert pest control technicians can identify the presence of bird mites. Find the source of the problem and provide effective treatment and control of bird mite infestations within your home. They can also install bird proofing and bird deterring systems to prevent the problem from reoccurring again in the future. Call Matthew Lynch Pest Control today on 0406 679 538 or simply fill out our contact form.